Fresh off the successful Bandit Card Draft, Supercell is now introducing a new card to the game. And as one would put it, this new card is said to be a game changer. 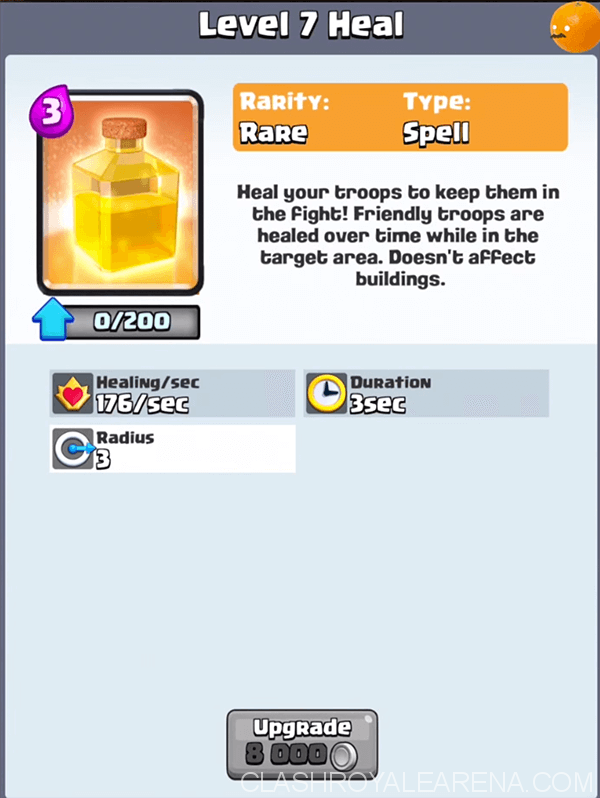 The new Heal Card will be launched on the Clash Royale arena on May 1. But before that happens, there will be a draft event for the Heal Card for those who want to gain an advantage in the game. Here are the things that you may want to know about Clash Royale‘s new Heal Card. First and foremost, the Heal Card draft event will run from Apr. 28 to 30. 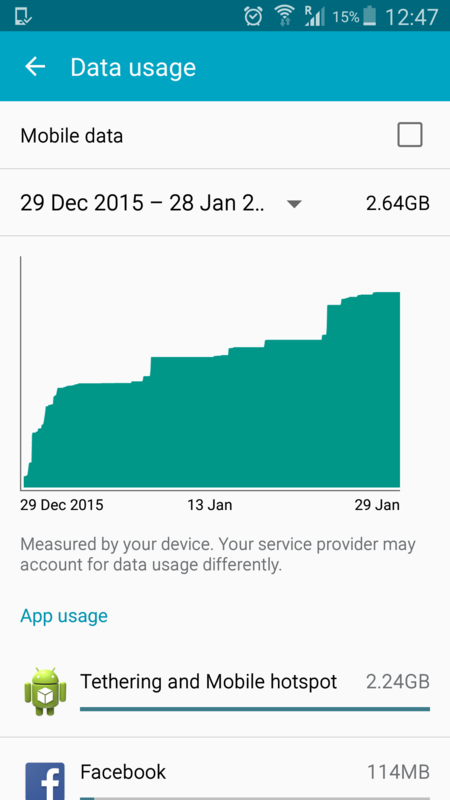 So better get you battle mode on as it is happening in the next couple of days. Secondly, players will be earning prizes including Heal Cards during the said event. The game mechanics are similar to the previous Bandit Card draft where players use 100 gems to participate. As with the previous draft, players get to pick four cards at the beginning of the game. However, only one player will receive the Heal Card. According to Clash Royale Top Decks, prizes are earned based on your progress in the challenge. However, anyone can earn their first batch of ten Heal Spell Cards just by winning six times. Unfortunately, if you accumulate three losses, you eventually end your challenge and will have to join another one. 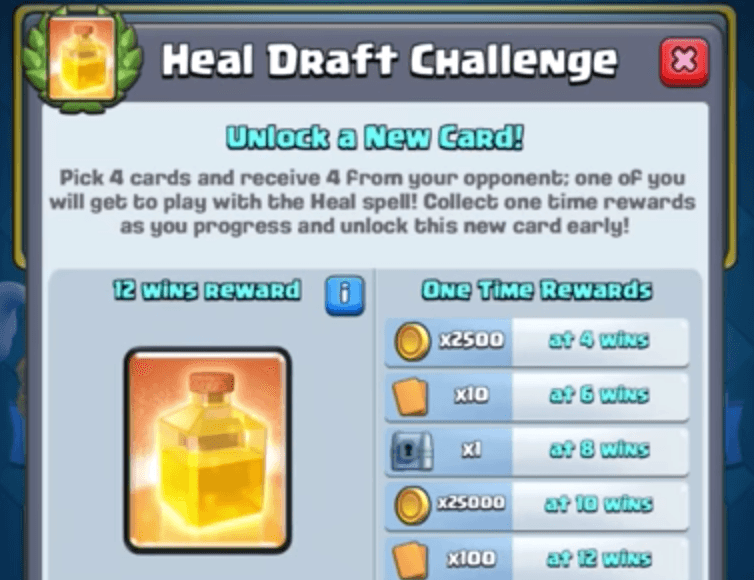 Other things worth mentioning about the draft challenge is that players get to earn 2,500 gold by winning four times. If you win eight times, you get a Giant Chest. Ten wins will get you 25,000 gold while 12 wins give 100 Heal Spell Cards. As mentioned earlier, the Heal Card is quite a game changer for the game. This is mainly because you only need three elixirs to use the card. 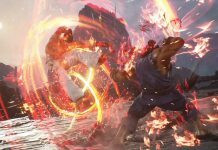 Maximizing your use of the card can give you an absolute advantage over your opponent. For instance, healing a clump of troops can give you as much as 176 HP per second. Are you excited for the Clash Royale Heal Card Draft Challenge? Do let us know in the comments section below.